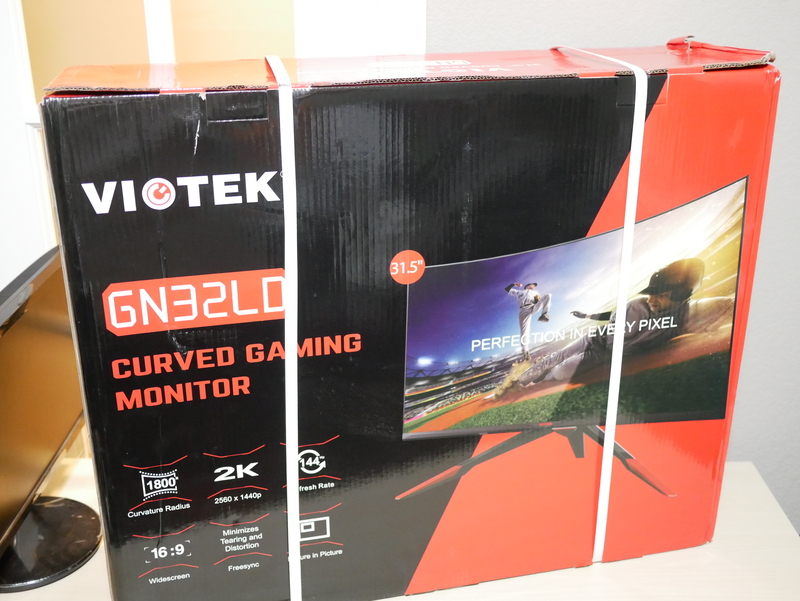 Viotek GN32LD, is this the right Curved 1440p monitor for your gaming needs? Viotek is a company I had not heard much about before the beginning of this year. I had to do a little research because I knew little about the company. Viotek is a company looking at providing tech products, monitor stands, monitors, headphones at a great price without compromising quality. 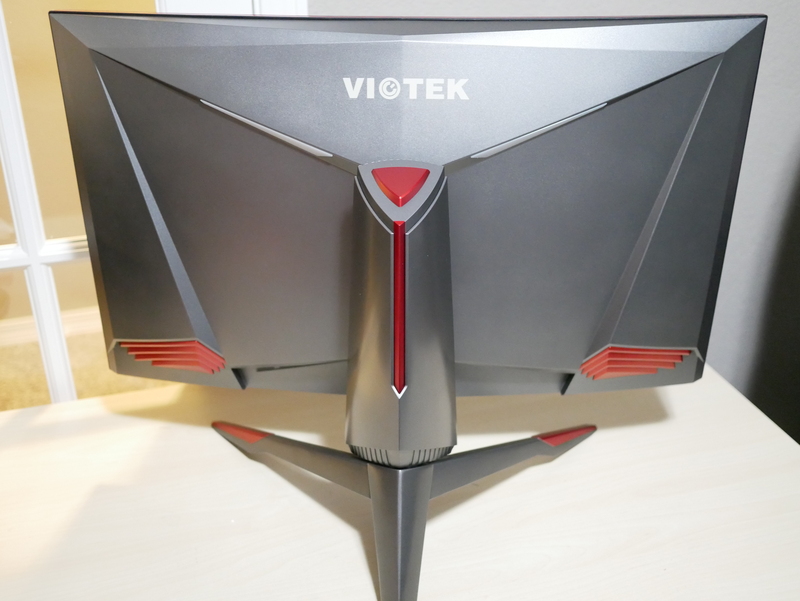 Today we get a chance to take a look at one of their flagship 1440p monitors, the Viotek GN32LD ($469). 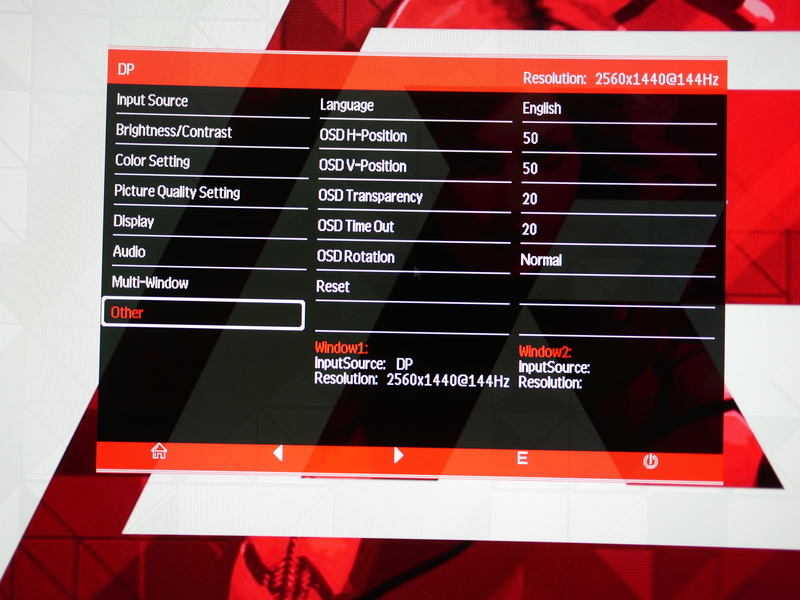 High-Quality Performance: With a refresh rate of 144Hz & 16:9 widescreen and a 1800mm/ 1800R curve, this monitor can render 16.7 million colors & 5,000,000:1 DCR. Customize Your Rig: With DVI, HDMI, and DP connectivity options, gamers anywhere can assemble their rig exactly how they want it. No Harmful Eye Strain: Designed with an anti-glare screen so you can play for hours without tiring eye fatigue. 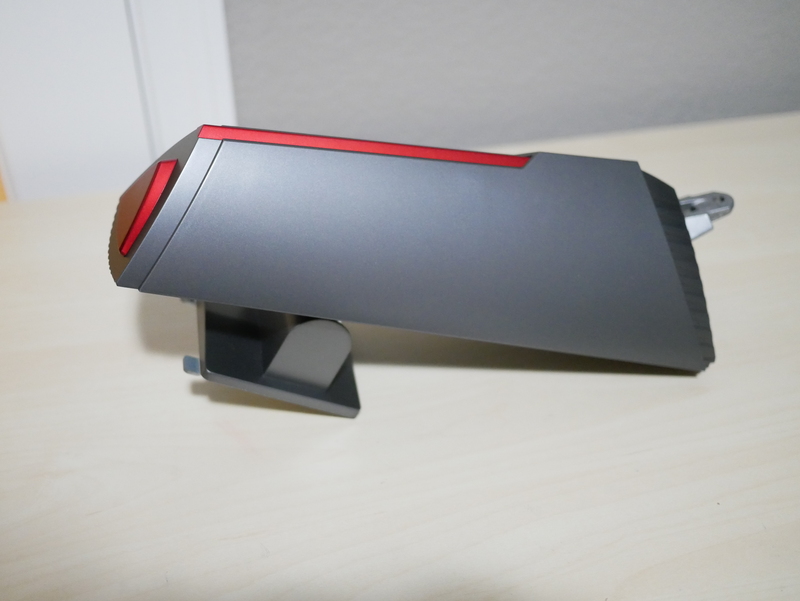 Vesa Compatible: Organize your next game night in style by activating dynamic LED effects and mounting your curved monitor to the wall. 5 Preset Options: Watch shows and movies, own the field in FPS, or comfortably complete your work from home by utilizing optimized settings. 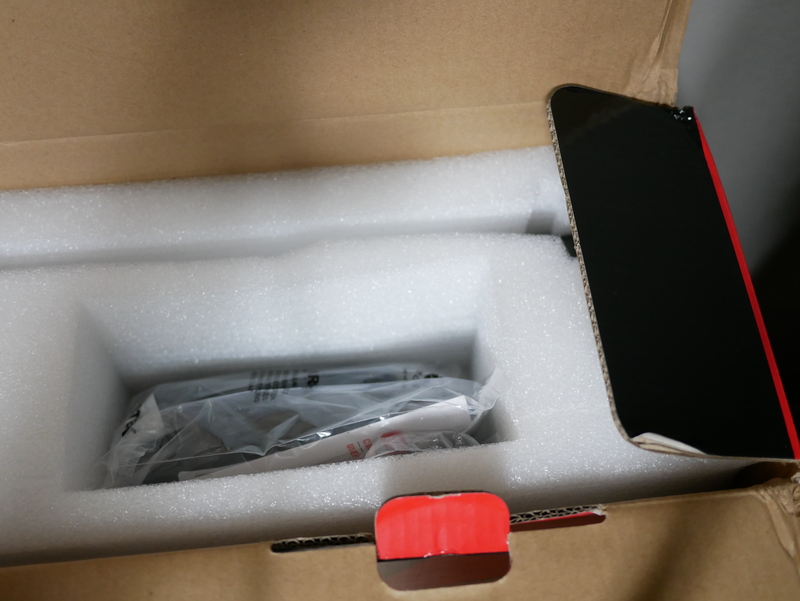 Starting with taking a closer look at the box, this is a 31.5” monitor and this means that the box it comes in is pretty big. 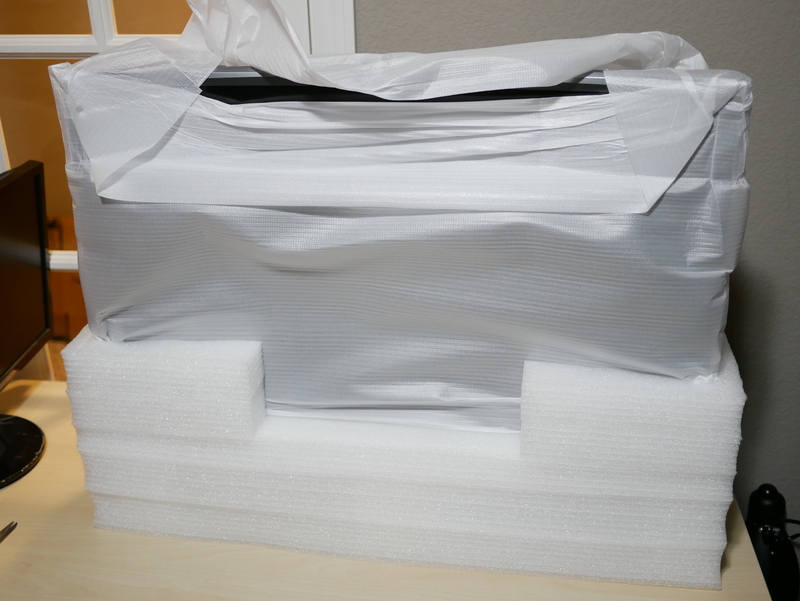 It came with two carry straps attached to help with easy of handling during shipping. 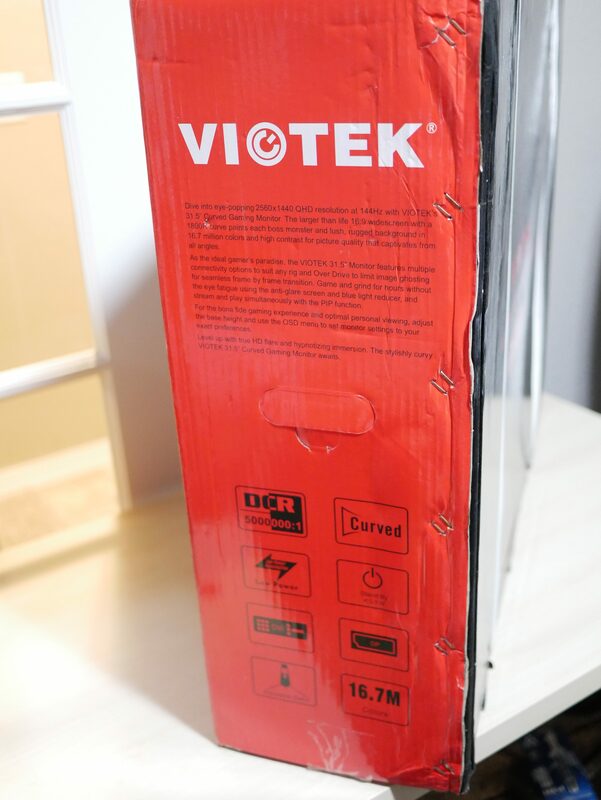 The front of the box just has the Viotek logo and the model number of the monitor. 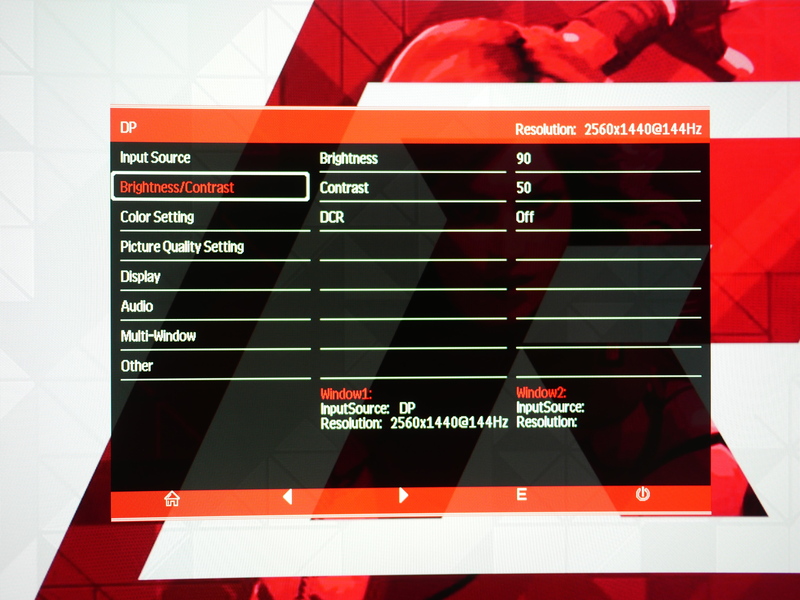 One of the side panels has some literature about the monitor and some of the key features that you would expect to find in a 1440p VA panel. 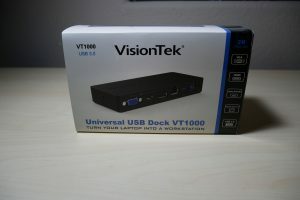 The back of the box has more features displayed and also a nice picture of the actual monitor. 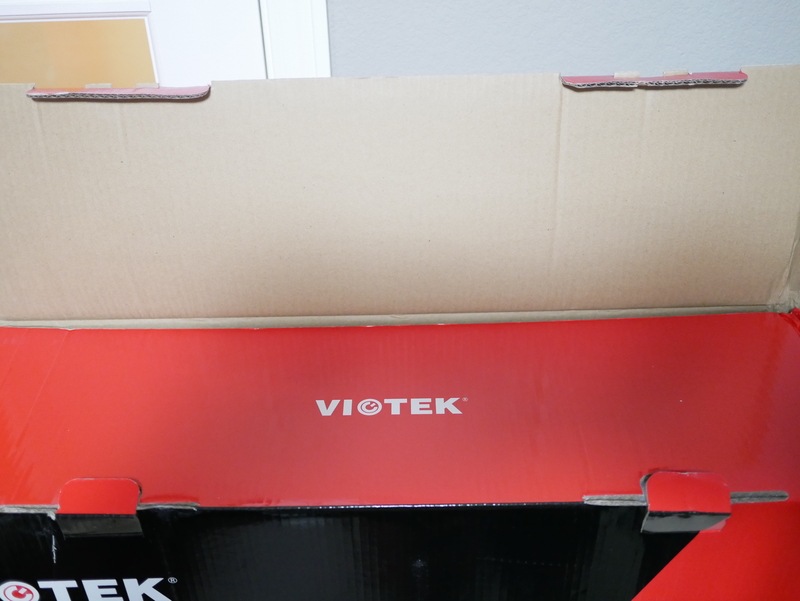 Opening up the box you are first greeted with a Viotek logo panel. 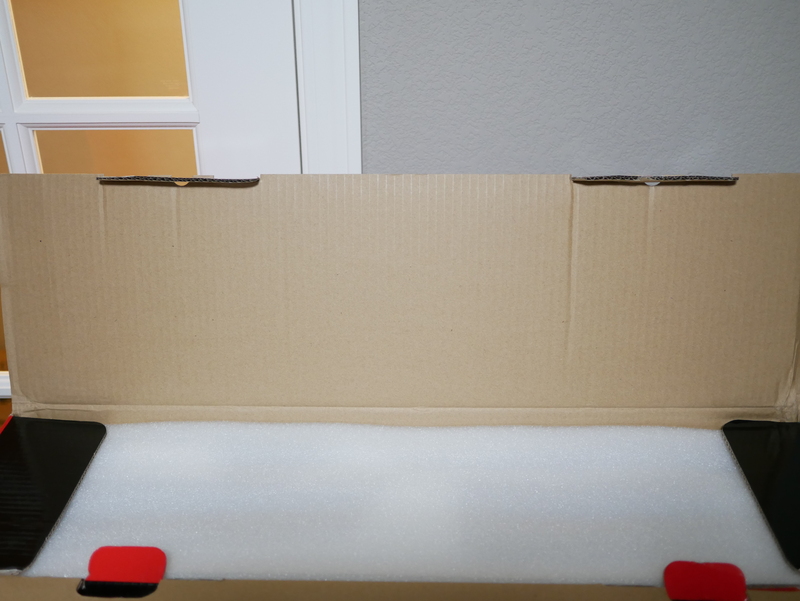 Below that there is a piece of soft foam that runs the entire length of the top of the box. Removing the foam piece, you can see a cut out that has the cables stored and the stand mounting. 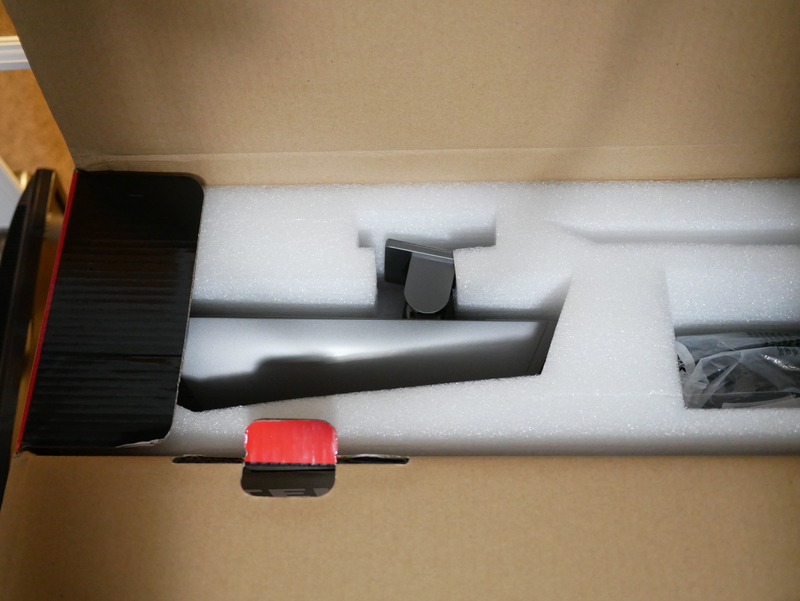 Pulling the monitor out of the box, you have two large foam half pieces that secure the monitor in place for shipping. The monitor is also covered with a thin foam cover. 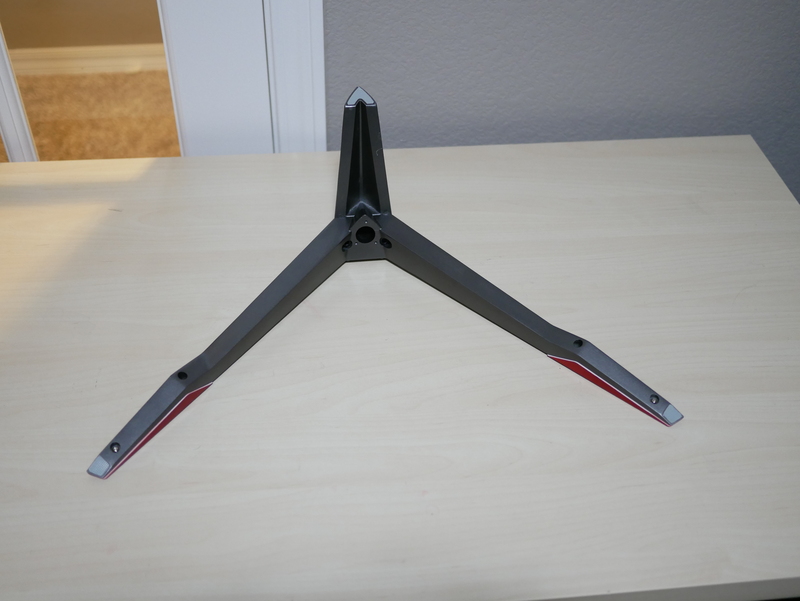 The Monitor stand mounting is pretty large, it is made out of both steel and plastic. 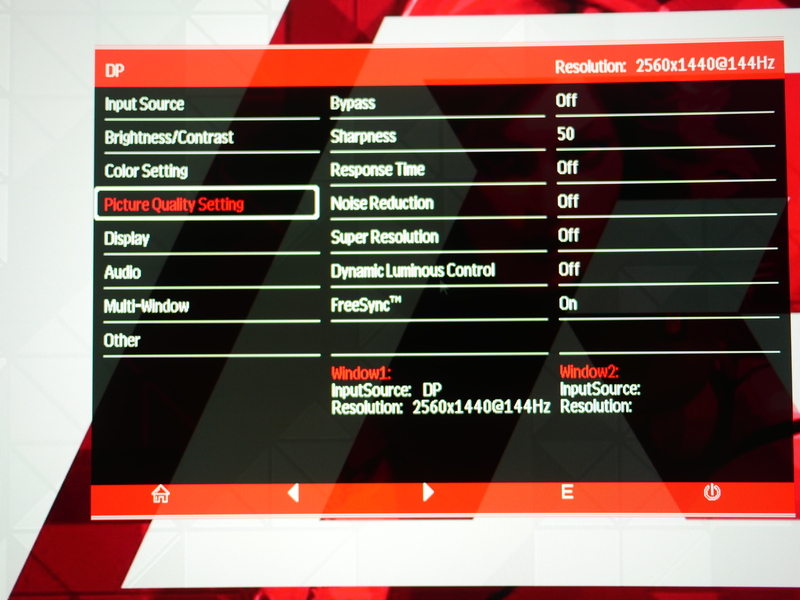 It has a grey and red theme displayed, this continues throughout the aesthetics of the Viotek monitor. The stand itself is a large tripod layout that takes up a large amount of desk space but is very sturdy. 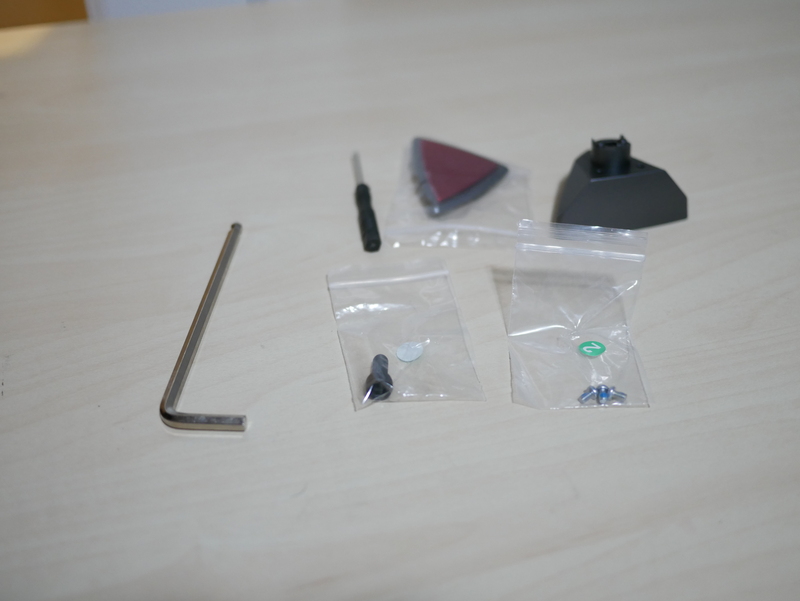 I like that Viotek separated the mounting and assembly parts into numbered bags along with an Allen wrench and screw driver to be able to assemble the monitor without any of your own tools. 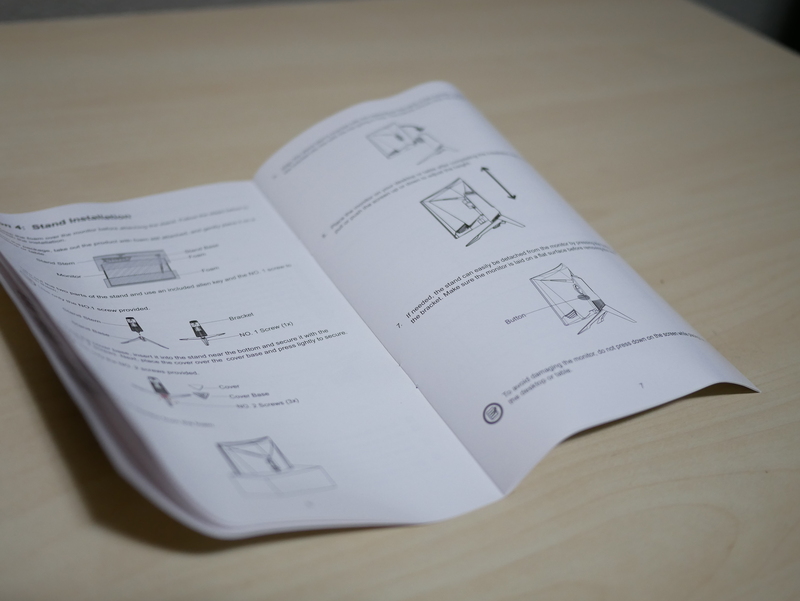 The user manual that is included with the monitor is detailed, it covers assembly and any setting up of features that the monitor provides. 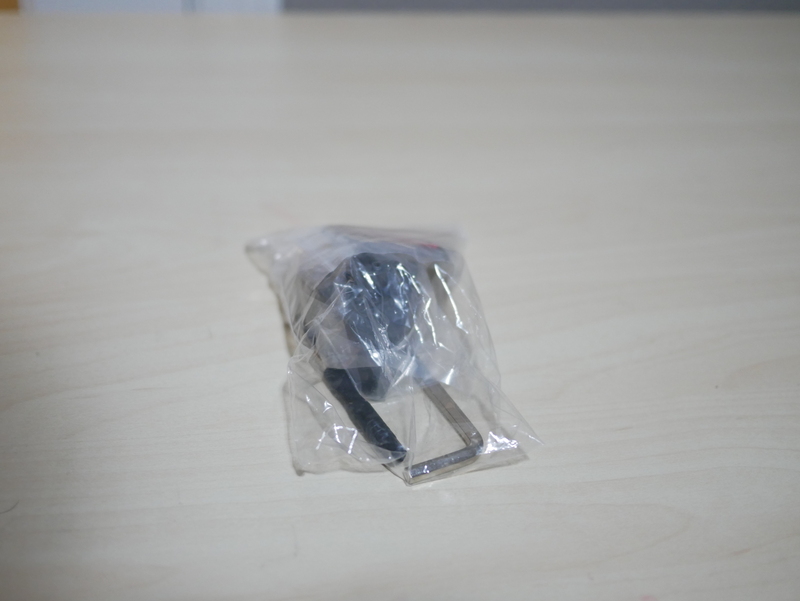 This monitor comes included with a display port and power cable. 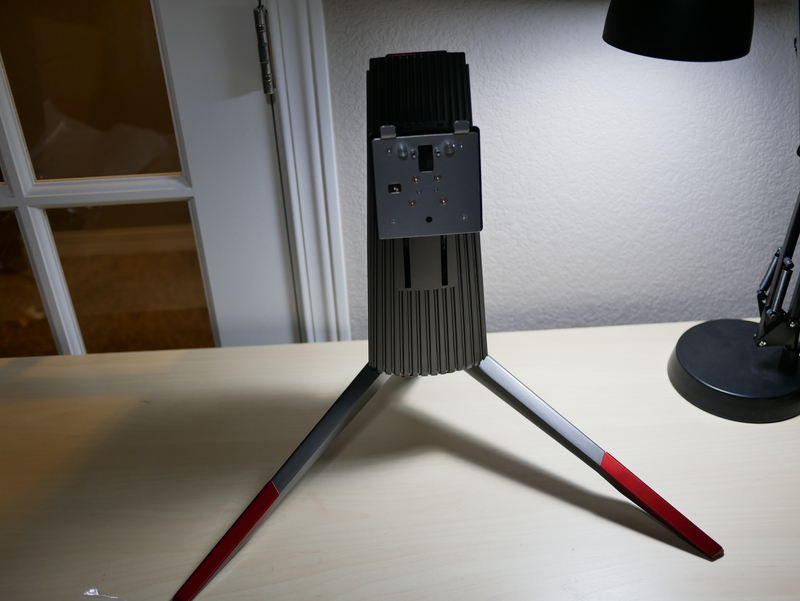 Starting the assembly, once again the legs are in a tripod setup and are made out of steel, with a grey and red color scheme. The mount is screwed into the feet. The monitor is then placed on the stand with the two notches from the stand placed in the monitor and the bottom of the monitor is snapped and secured to the stand. This stand is very sturdy but does take up a large foot print, due to the two front legs having a wide stance. 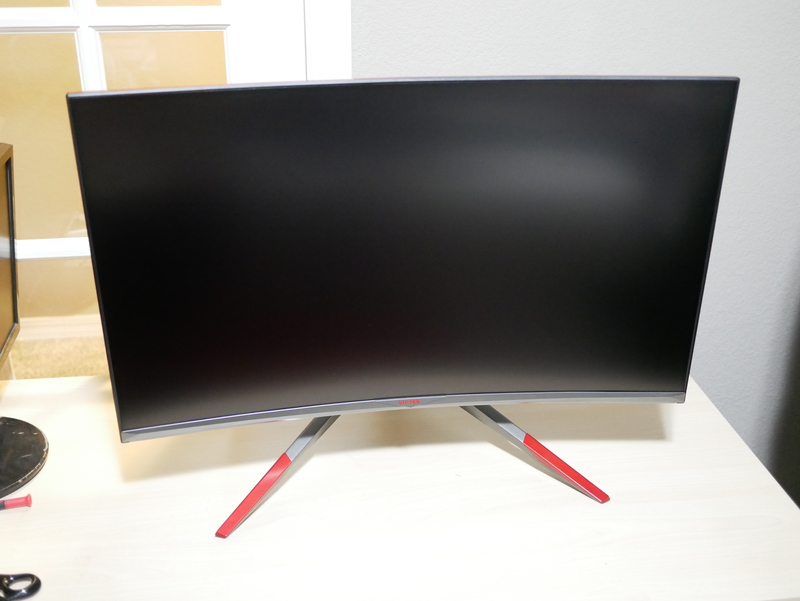 Looking at the front of the monitor it is a near bezel-less display. There is a small bezel at the top and bottom of the panel. 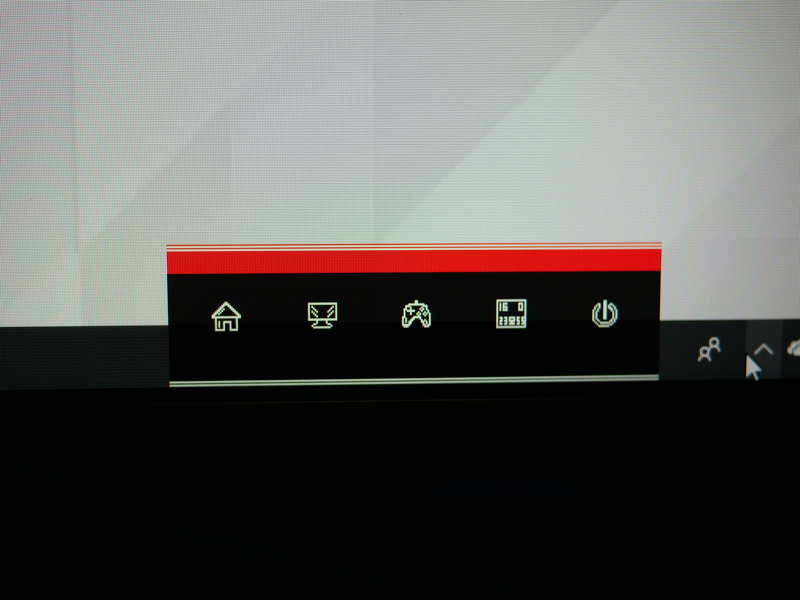 At the bottom of the panel you can see the red Viotek logo. Taking a look at the back of the panel, you notice the Viotek logo at the top, followed by two LEDs that are place in diagonal accents and there are two red accent pieces at the bottom of the panel. At the back of the panel there is recessed holes for a 75 x 75 vesa mount. 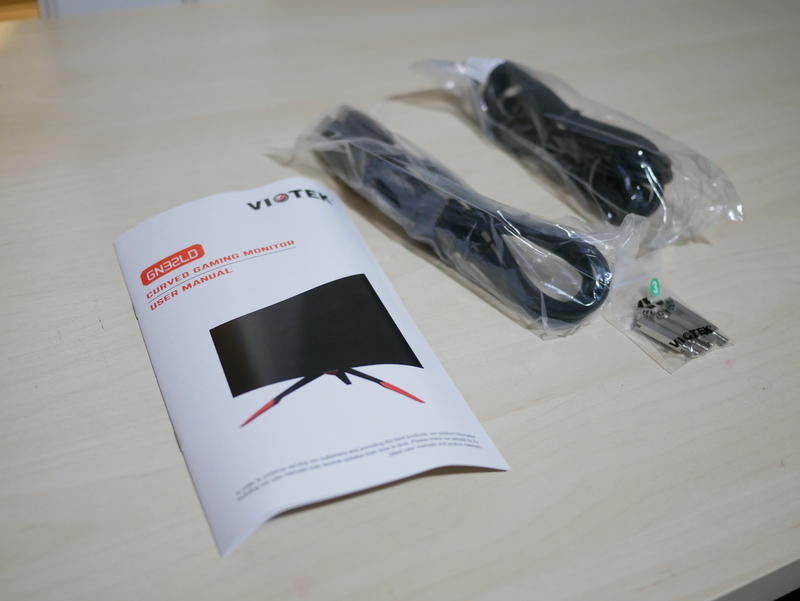 Viotek does provide extentsions that allow the screw holes to be almost flush with the rear of the monitor. 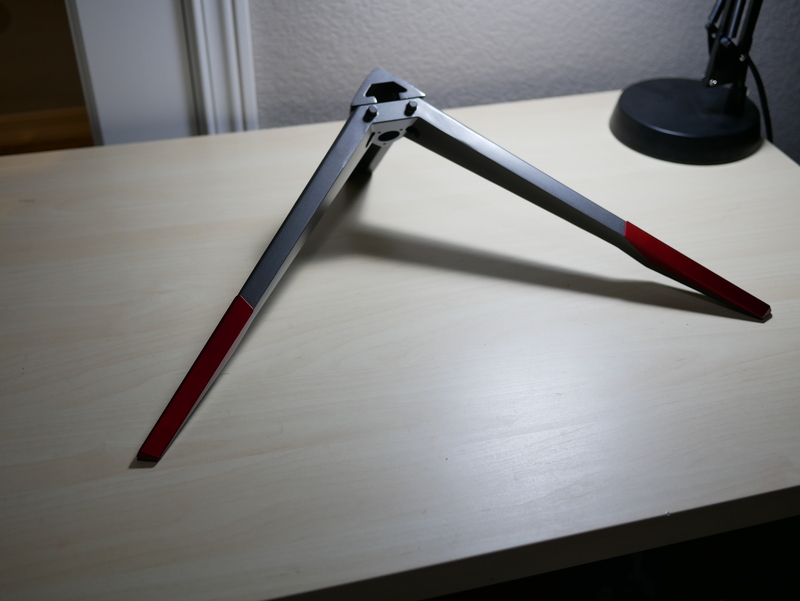 The vesa monitor stand that I have is both 75 x 75 and 100 x 100, this created a compatibility issue that would not allow my Vesa monitor stand to work. If you have just a 75 x 75 Vesa mount, you should have no issues mounting this monitor. 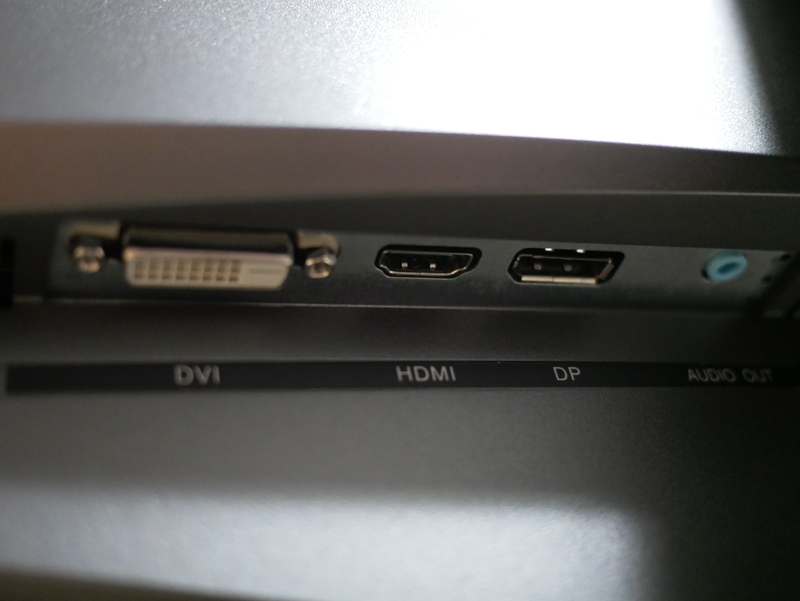 At the bottom rear of the panel you have connections for your power plug, Display Port, HDMI, DVI and Audio out. 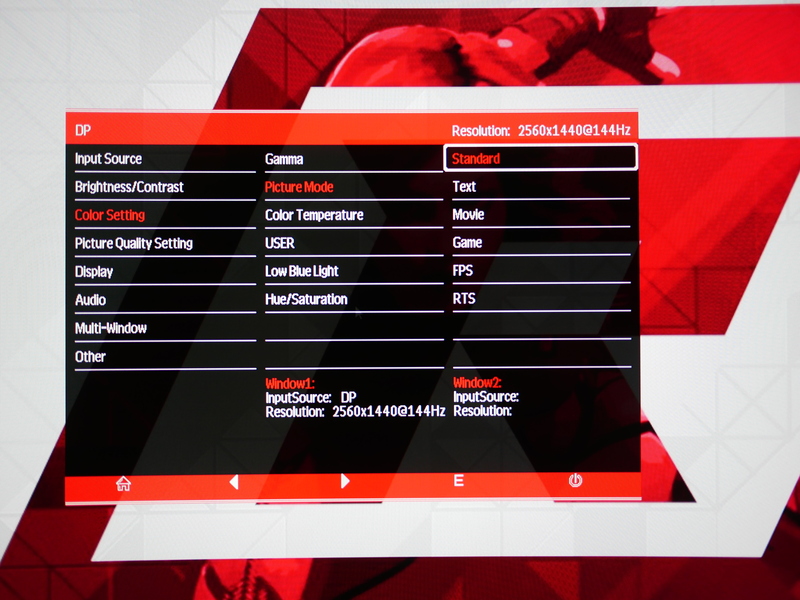 Talking about performance, first well address the OSD options, then well address the use of the monitor for gaming and everyday use. The on-screen display options are controlled by 5 buttons. You have the Home button, LED Effects, Gaming crosshairs, Numbers, power button/cancel. When in the OSD settings, you have the Enter (Home) button, left (LED effects) button, right (Crosshair) button, Exit (Numbers) button and lastly the power off button. The first options you can choose from is your input. 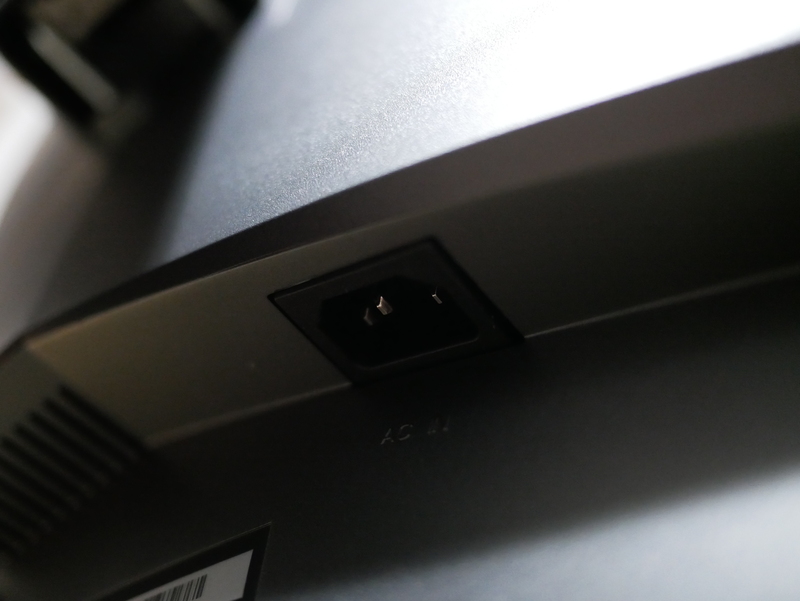 Most of the time the monitor will select the port that is sending a signal to the monitor, but this helps if you have more than one PC or device connected to the monitor. 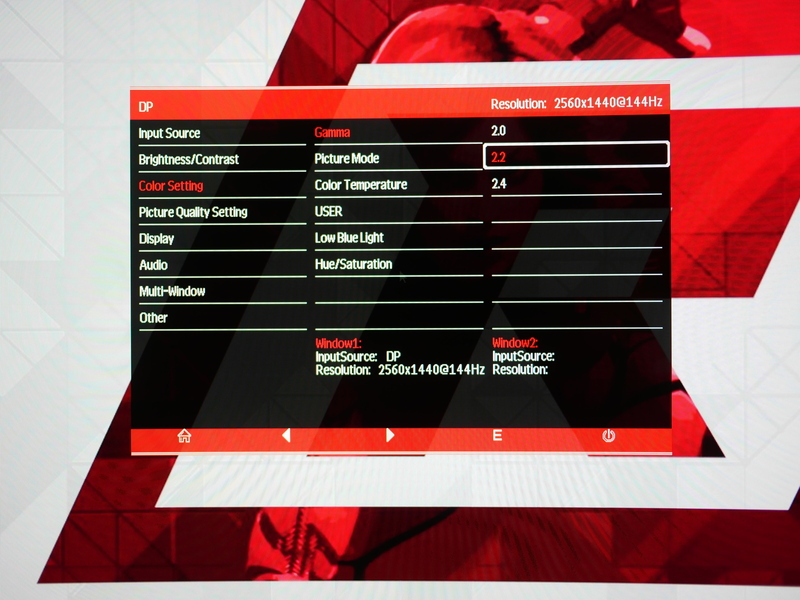 For brightness/contrast, you are able to change the brightness, contrast and contrast ratio to your liking. 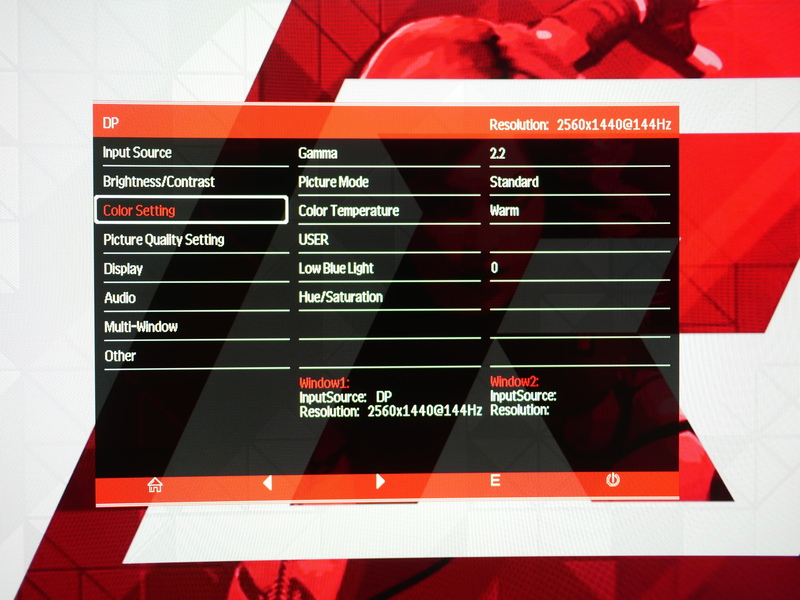 Under color setting you have the options of changing your Gamma, Picture mode, Color Temperature, Low Blue Light mode, Hue/Saturation. 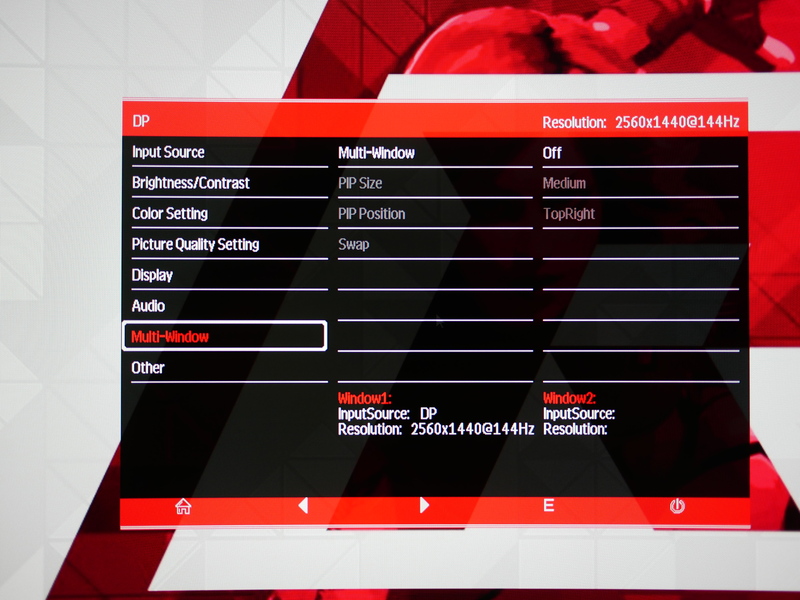 For picture mode, you have many options from movie to game and even FPS and RTS modes. Under the User option you can change your Red, Green and Blue settings individually. 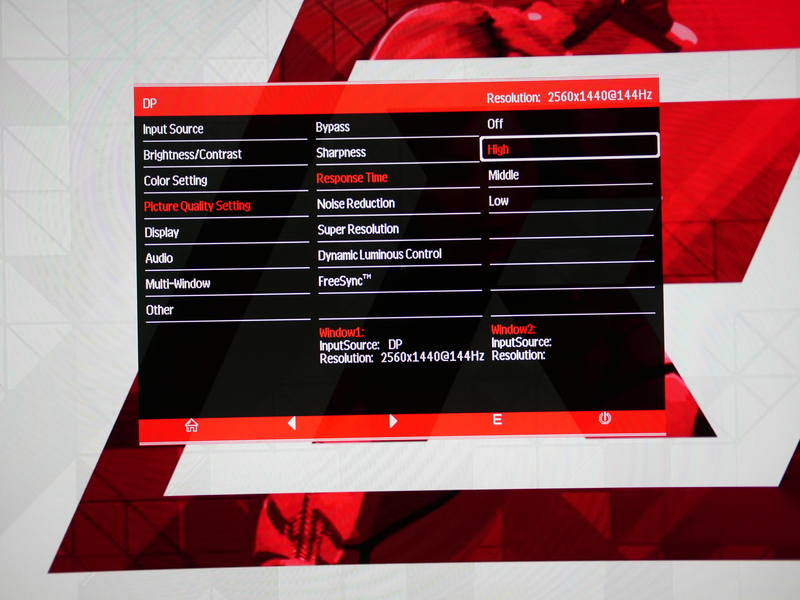 Under the picture quality settings, you have the option of changing the sharpness, Response time, noise reduction, Super Resolution, Dynamic Luminous control and turning Freesync on or off. 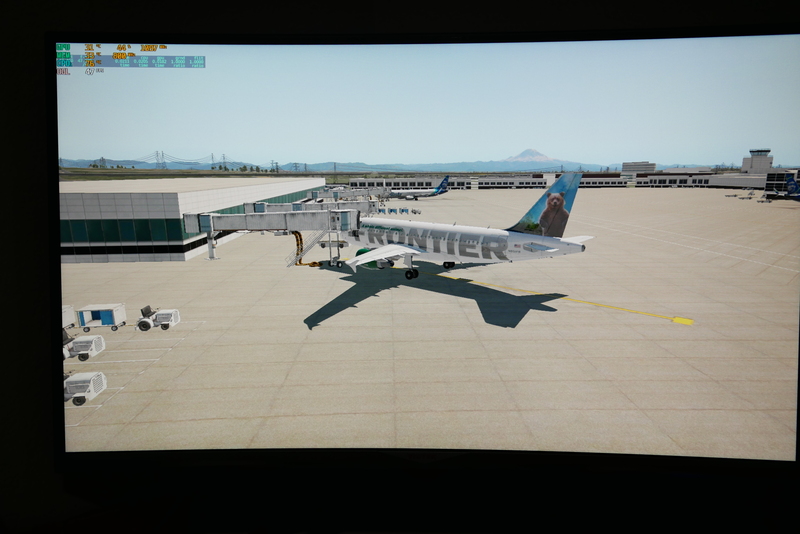 While I was playing games, I kept the Response time on high and didn’t notice the monitor having any trouble displaying frames, screen tearing or high input lag. This monitor does come with the ability to do picture in picture and you can turn that on in the Multi-window option. 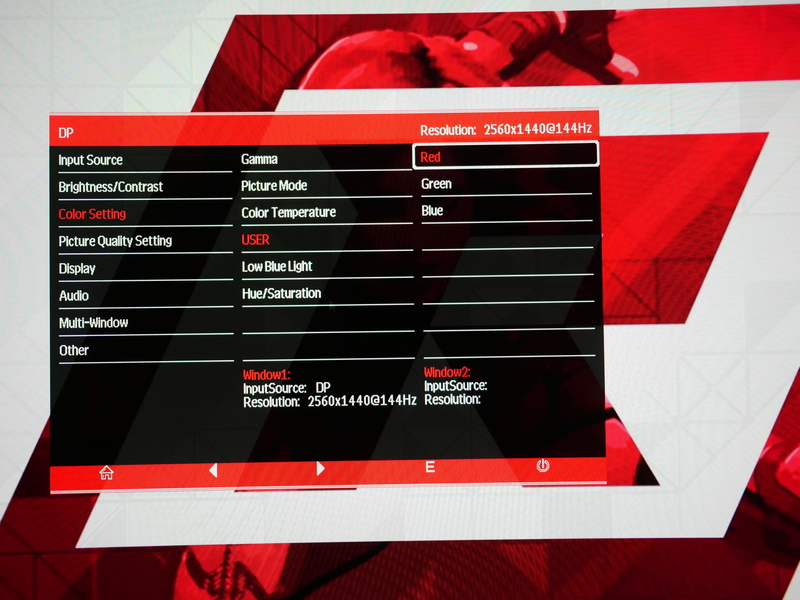 The Other settings allow you to change the OSD settings. 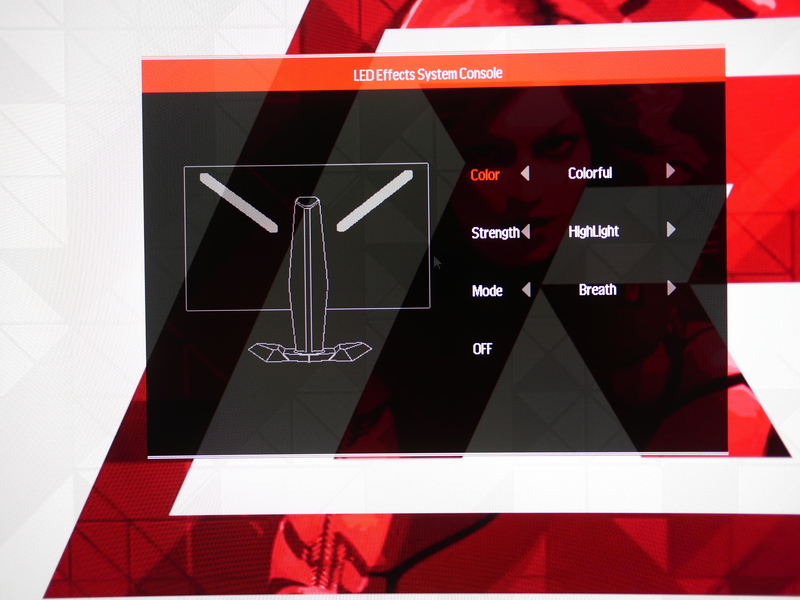 The LED effects option allows the user to select the color, strength and mode of the rear LEDs at the back of the monitor. 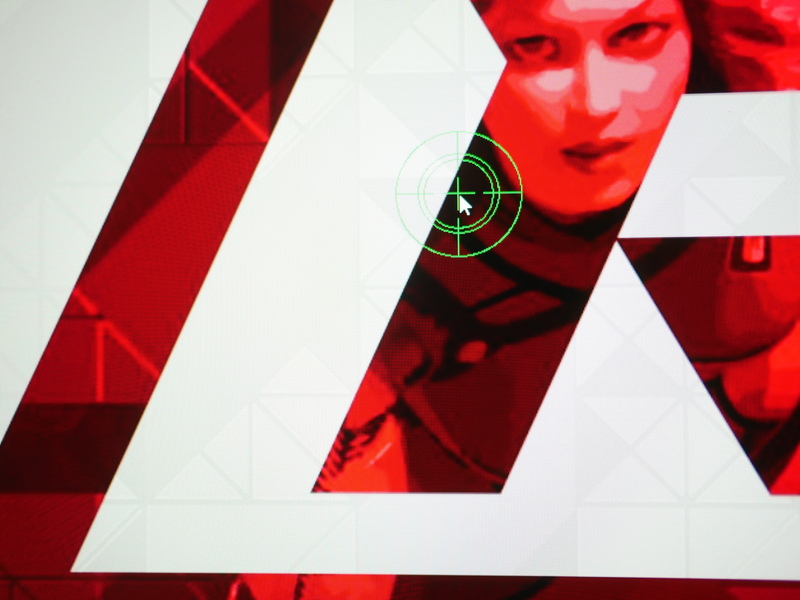 The crosshair option places a crosshair at the center of you monitor. 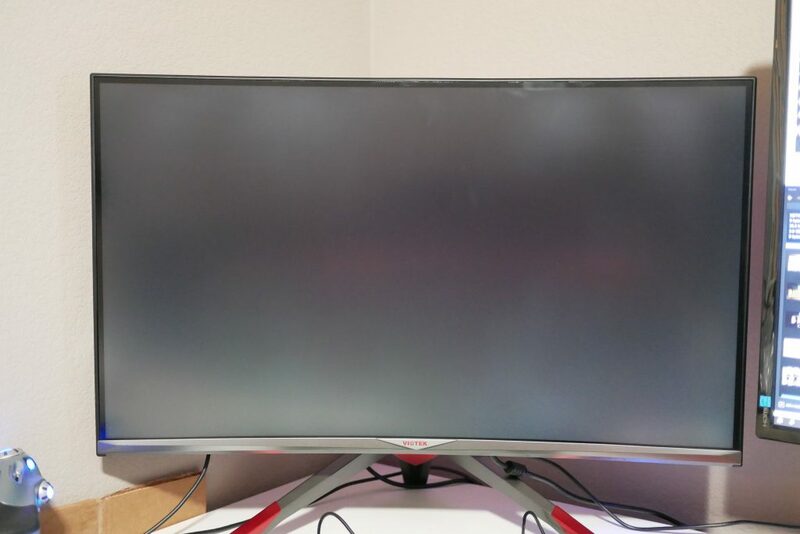 I used this monitor for a month-long test. During normal web browsing the large size and 1440p resolution allows you to display a lot on the screen. I did not notice any dead pixels or light bleed coming from the panel during dark scenes. During gaming I had the Response time turned up to the highest setting. If you are a FPS gamer I would definitely keep the Response time on high to make sure you are getting optimal performance. I noticed a little improvement by keeping in on high rather than normal (default), but I am not a huge FPS gamer. The display had great options that were easy to use. I initially only had to a just the red a slight bit to get the color setup that my eyes enjoyed, so to me the panel was pretty well calibrated. 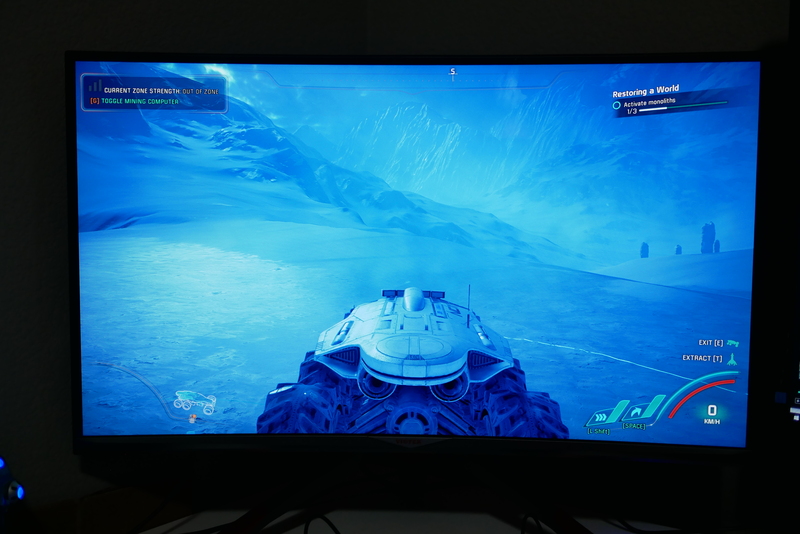 The panel was bright, vibrant and gave me my best gaming experience to date, compared to my Acer XF270H 1440p monitor. 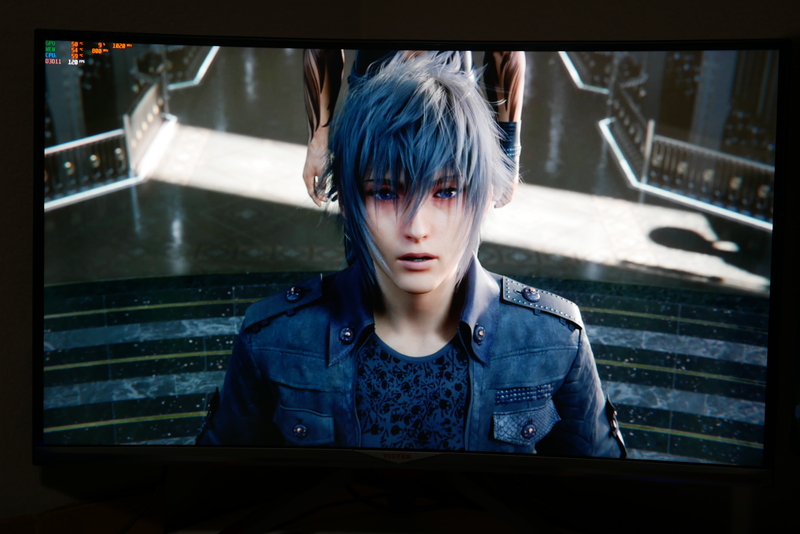 There is also antiglare coating and I did notice a difference not having to use a pair of amber lenses and allowing me to continue gaming in comfort. Bottom Line Overall, the monitor is large, but use a Vesa mount to place that monitor exactly where you want it. 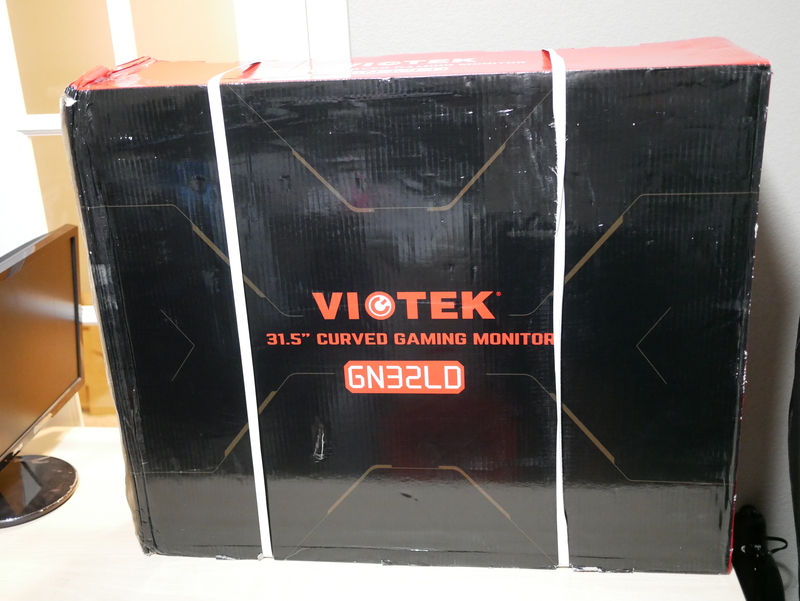 if you are looking for a larger than 27” 1440p monitor at a great price, take a look at the Viotek GN32LD monitor. 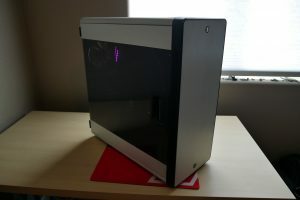 Raijintek Asterion Plus, Can this case fit all of your PC parts?